What's Poppin' Tonight! #MokaiWednesdays The #HouseOfHipHop Every Wednesday at Mokai Lounge #RevoltMusicConference #MokaiMiami #RMC2016 ~ Phresh Hott New! Tonight! 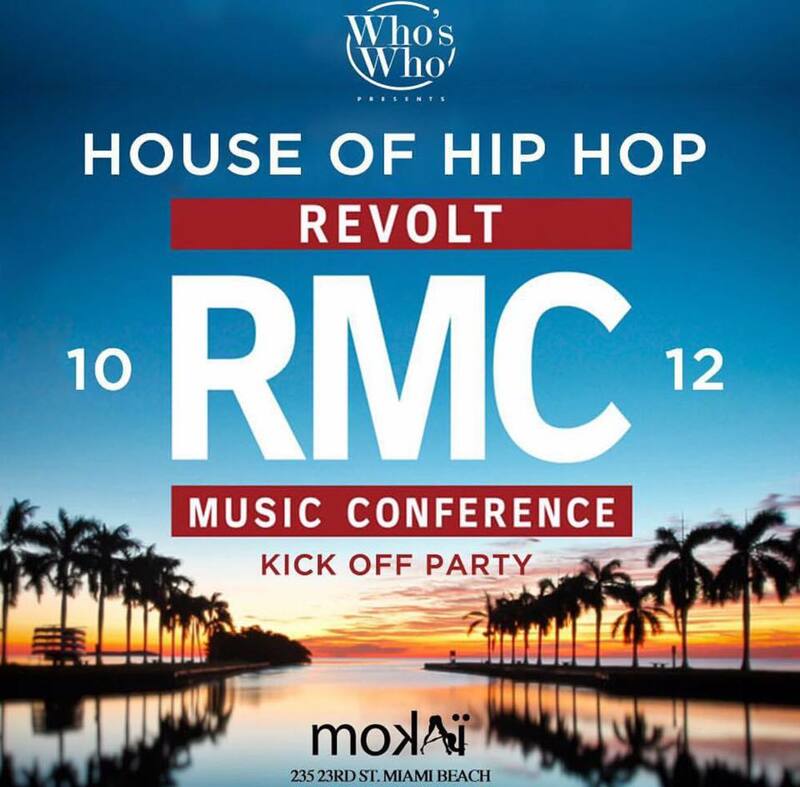 #HouseOfHipHop presents the #RevoltMusicConference kickoff party at #MokaiMiami plus MORE!